After developing a road map for teaching comprehension during day one of this workshop, the second day focuses on the scaffold of comprehension mini-lessons to follow. 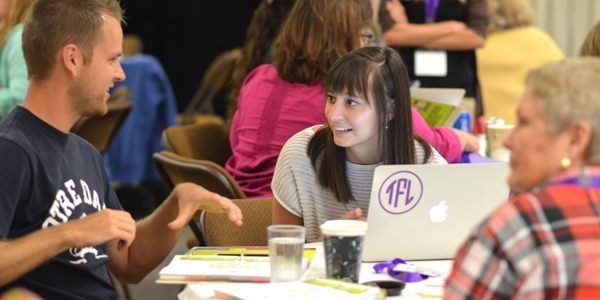 Participants will learn ways to make their whole-class mini-lessons more explicit and dynamic while receiving numerous mini-lesson concepts per comprehension strategy! 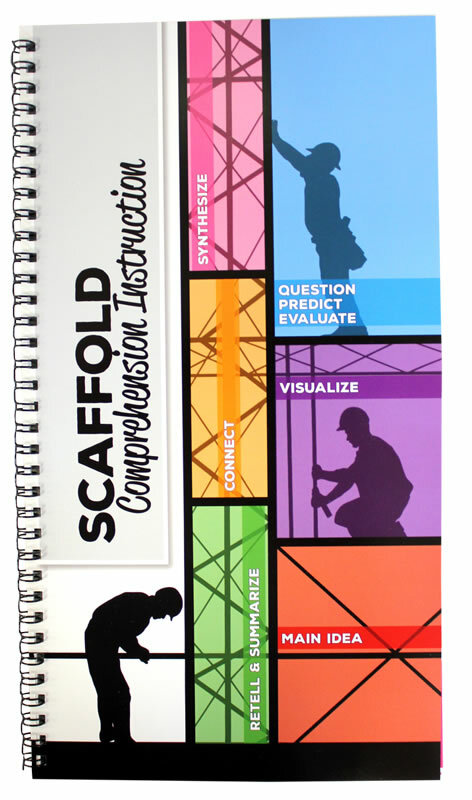 Each Day 2 attendee will receive one FREE copy of Scaffold Comprehension Instruction to support the implementation of whole-class reading lessons at any grade level. This spiral-bound flapbook will supplement the workshop handout and become a tool to help teachers plan sequenced comprehension instruction all year long. • Identify a gradual release that guides students from a basic application to a deep understanding of any reading skill/strategy. • Study grade-specific instructional calendars that spiral through the six comprehension strategies all year long. 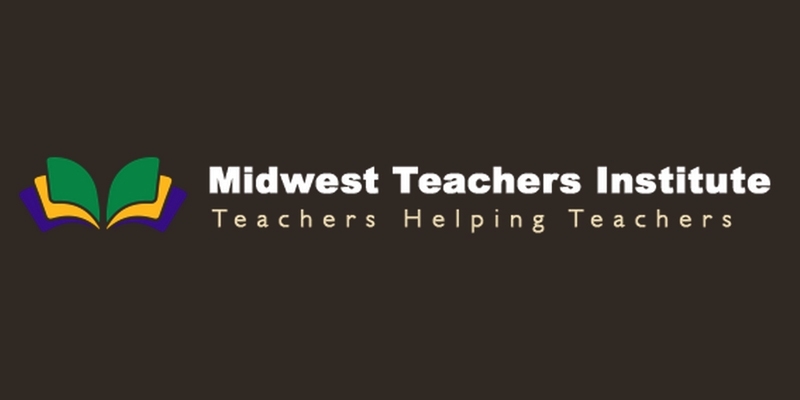 • Receive a sequence of classroom-tested mini-lessons that rely on textual evidence to support retelling/summarizing ideas, determining main ideas, visualizing ideas, questioning ideas, making connections, and synthesizing ideas. • Discover how to adjust instruction to address the same comprehension skills when reading literature (fiction) versus informational texts (nonfiction). • View various lessons executed and recorded within actual classrooms. • Learn to blend explicit instruction of individual strategies with all-encompassing close-reading experiences. • Identify various writing-about-reading products (e.g., constructed and extended responses) that honor students’ developmental readiness. Execute comprehension mini-lessons that are short, effective, and powerful. Make reading lessons more visual through anchor charts, Think Alouds, hand signals, concrete triggers, and more. Deliver a multi-week study that acknowledges the developmental progression of comprehension strategies. Execute a yearlong plan that emphasizes spiraling through previously-taught skills, while encouraging students to juggle multiple strategies simultaneously. Implement Kristina’s favorite whole-class comprehension mini-lessons. Access the digital and video resources that support the whole-class comprehension lessons learned within the workshop. Teachers who attend this Reading Comprehension workshop will be given a complimentary one-month subscription to Kristina's matching video on webPD, Reading: Delivering Dynamic Comprehension Mini-Lessons. NOTE: Lodging fees and tuition for graduate-level credit are not included with registration. 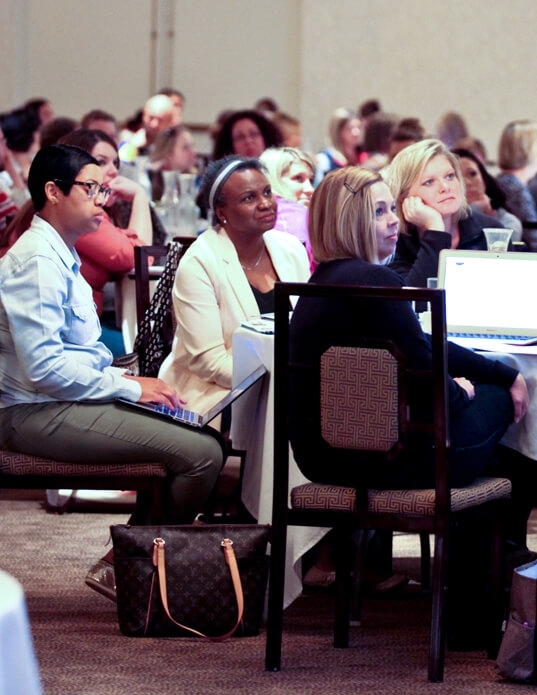 As an approved professional development subcontractor, Smekens Education is happy to provide all Illinois teachers with state-approved professional development credit for attending the Developing a Reading Road Map for Teaching Comprehension workshop. Smekens Education and the University of the Pacific/University College take pride in working together to make available the opportunity for educators like you, to earn graduate-level university semester credits/units. We understand that being an educator takes time, energy, and a lot of dedication, so we feel compelled to make this process affordable, practical, and at the same time rewarding. The University of the Pacific is fully accredited by the Western Association of Schools and Colleges, and all courses will appear on an Official Transcript from the Registrar's Office at UOP. Participating in our workshop sessions are a prerequisite to the course enrollment(s). Some school districts may require pre-approval prior to enrollment. It is your responsibility to know your district's policies. Attendance at both days of the Reading Comprehension workshop series, plus additional coursework related to the workshop, is required for credit.